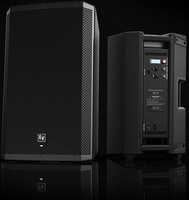 ZLX-12P, Powered PA Speaker Cabinet from Electro-Voice in the ZLX series. 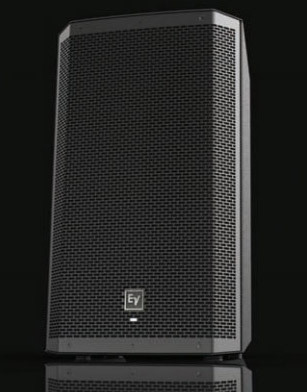 Electro-Voice is also present at Musikmesse with they new ZLX loudspeaker series, which features four active and passive 12" and 15" models. 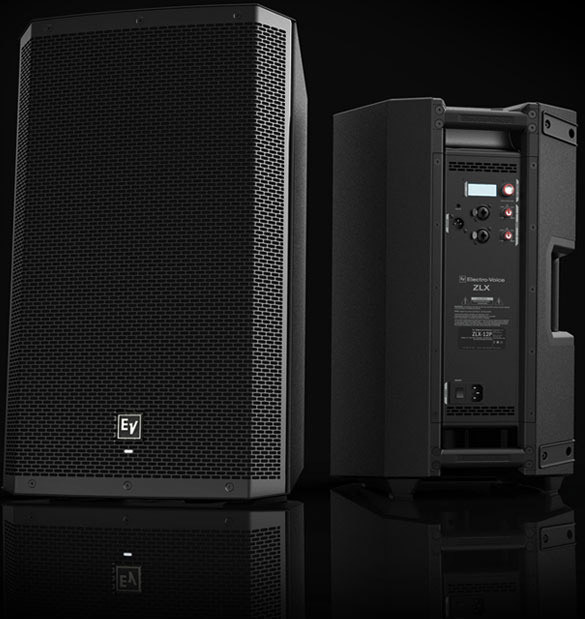 Announced for spring 2013, the Electro-Voice ZLX loudspeakers can be easily transported by the musician or DJ thanks to their compact format and the built-in handle. All the loudspeakers use a patented split-baffle design. Both active loudspeakers are also equipped with an LCD display, a DPS processor with presets, input level meters and an independent amp control. Discover this new series at www.electrovoice.com/zlx/. 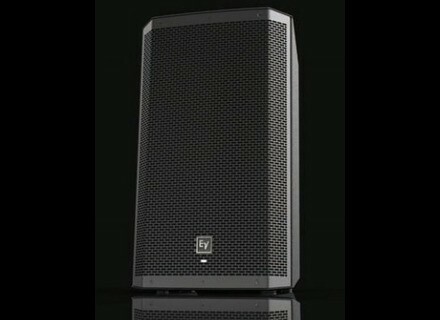 [Musikmesse] LD Systems Dave 8 Roadie PA LD Systems debuts its new Dave 8 Roadie 2.1 portable amplified sound system. Fohhn LX-220 hybrid line array Fohhn announced the availability of their new Linea LX-220 passive line array, presented in black or white finishes. Behringer introduces the iP40PRO portable PA Behringer will soon launch its new iP40PRO 40W portable PA system equipped with the Bluetooth technology.